American Shorthairs are medium-sized cats that usually weigh from 8-15 pounds. They are muscular with broad shoulders, thick legs, heavy bones and well defined jaws. These kitties have retained the hunting abilities they were initially bred for hundreds of years ago. Although they are rugged if need be, they are also very affectionate animals. They are great for people of all ages, including children and the elderly. They are also docile with other animals. American Shorthair cats come in many color and pattern variations. The most common colors are blue, cream, silver, white, black, red, gold, brown, chinchilla, and tortoiseshell. Patterns include solids, bicolor, tricolor, tortoiseshell, tabby, smoke and shaded. Silver tabby is the most common type in the American Shorthairs. This breed has a short, straight, dense coat that sheds often. 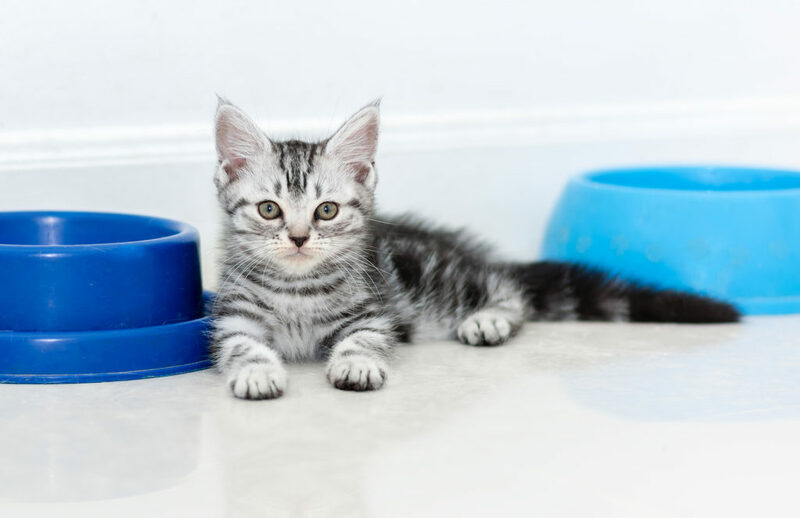 Is Your American Shorthair Mixed? American Shorthairs are purebred felines that produce litters with distinct traits and appearance. They are most commonly confused with the Domestic Shorthair, which comes in all looks and colors. Many years ago, the American Shorthair was referred to as the Domestic Shorthair. Today, the term Domestic Shorthair refers to any cat with unknown parentage that has no pedigree. Siamese cats are often mistakenly called American Shorthair, but these are actually a domestic variety. If you have plans of entering your Shorthair in shows as a pedigreed cat, you must make sure they are purebred. Domestics cannot be shown in cat shows, they must be pedigreed. 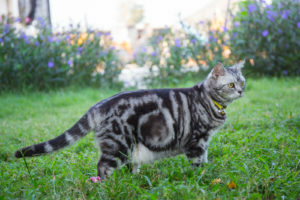 American Shorthairs are judged by breed standard only. When purchasing an American Shorthair, you will need to find a reputable breeder. You will want to buy from a bloodline that has been bred true to standard. Breeders who are selective will have stock with natural beauty, hardiness, temperament and proper hair length. You will also have access to any genetic diseases that may be present in the bloodline.